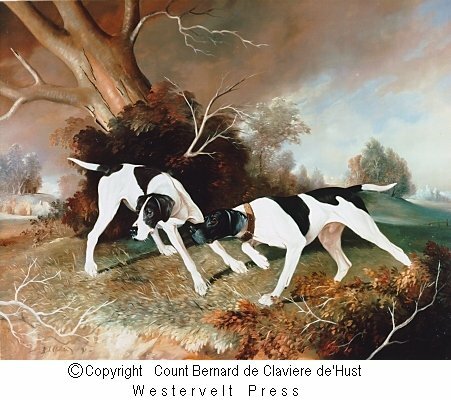 Dog Prints, English Pointers,Count Bernard de Claviere d'Hust," On The Point ". English Pointers: On The Point. and down to business attitudes appear quite civilized. him the king of the flat fields." developing the breed's speed and endurance. for the nose, and the Foxhound for pace and stamina.